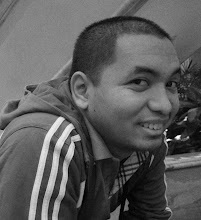 No June Mar. No Japeth. No Jeff. No Paul Lee. No Marcio. Gilas 3.0 will have a few new faces. How do our bigs stack up? 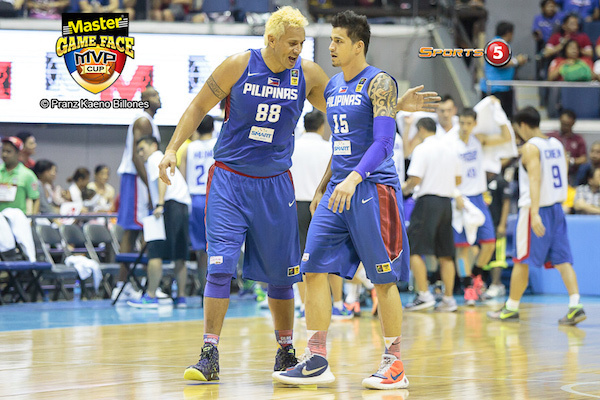 - Blatche and De Ocampo are capable of stretching the defense and luring opposing big men to the perimeter with their three-point shooting. Even at his rotund state, Blatche should also remain among the most athletic big men in FIBA Asia. Blatche, though, is our only player standing taller than 6’9. That shouldn’t be much of a problem against similarly-sized teams, but when we face Iran and perhaps if we face China as well, we will certainly be giving up a lot of height. One glaring weakness is that there isn’t really any imposing rim protector among the Gilas frontliners, and this is why I expect that Gilas will find guys like Yi Jianlian and Hamed Haddadi (or maybe even Sani Sakakini and Kosuke Takeuchi) extra tough to stop. Calvin Abueva is going to be a key player on the wings. - Hontiveros is the only pure catch-and-shoot guy on this list, but when he’s on, boy, he is on. I mean, did you guys see him torch New Zealand in the 2015 Jones Cup with those clutch treys? Ganuelas, Abueva, and Intal, meanwhile, are all athletic freaks, and they should give opposing wingmen difficult times on both ends of the floor. Norwood and Abueva should be the lynchpins of our wing play. Gabe’s experience, midrange game, and defense will be critical, while Abueva’s tireless motor should make him a resilient two-way threat. I don’t see any of our wingmen potentially exploding for 20+ points in any game, but, admittedly, it’s a pretty deep group of guys. Terrence Romeo is expected to contribute heavily. - We only really have two bona fide guards on this team, but the two we have — Romeo and Castro — are among the two quickest guards in Asia. In addition to their speed, both Romeo and Castro have the ability to change their pace at the drop of a hat and are quite accurate from long range. That combination makes them very difficult to guard. Expect both guys to lead this team’s transition attack and be among the primary creators of the squad. I also expect coach Tab to have BOTH guys on the floor in many important stretches. Can’t wait for their match-ups with the similarly awesome backcourts of Iran, Japan, Korea, Kazakhstan, and Jordan. - Ganuelas, Abueva, Intal, and Romeo are all greenhorns at this level of international basketball, but that is tempered by the wealth of experience the other eight guys have. That will come in handy during big games, where composure, leadership, and experience will come to the fore. - One perpetual weakness of Gilas has been inconsistency. We tend to play to the level of our opponents, which doesn’t do us many favors. One key reason a team like Iran has been so successful is that they are consistently good in every game. That’s not necessarily because of their talent (though that’s a big part), but, rather, because their attitude and intensity in every contest is consistent. Ours must be, too. - Ganuelas is really the only bona fide shot-blocking threat on this team. Yes that’s despite having Blatche there. Dray is no rim protector. He’s a scorer. This is surely one weakness our foes would love to exploit. 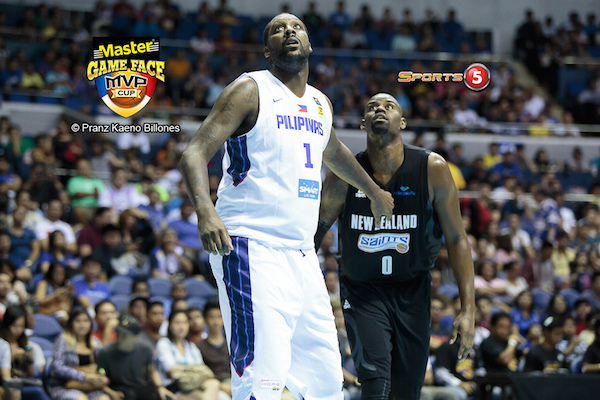 Andray Blatche has big shoes to fill. All images are by Pranz Kaeno Billones/Sports5. 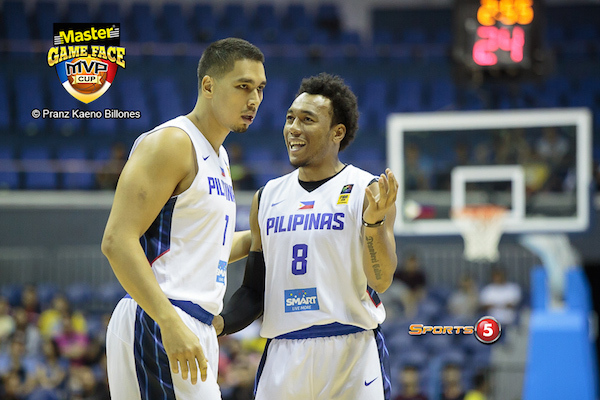 Enzo, If Gilas makes to top 3 in Fiba Asia, do you see Castro and Romeo in the All Star 5? Depends on how they perform, of course, but if they play as well as expected, it's very possible. There are, however, a lot of other quality guards like Kamrani, Jerry Johnson, Daghlas, Bhriguvanshi, Zhao Tailong, Yang Dong-Geun, Kosuke Kanamaru, Lin Chih-Chieh, etc. 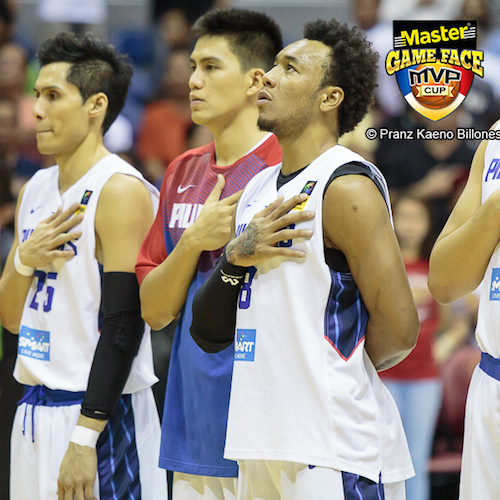 Do you think Castro, Romeo and Blatche will be the barometers of Gilas' success in Fiba Asia?